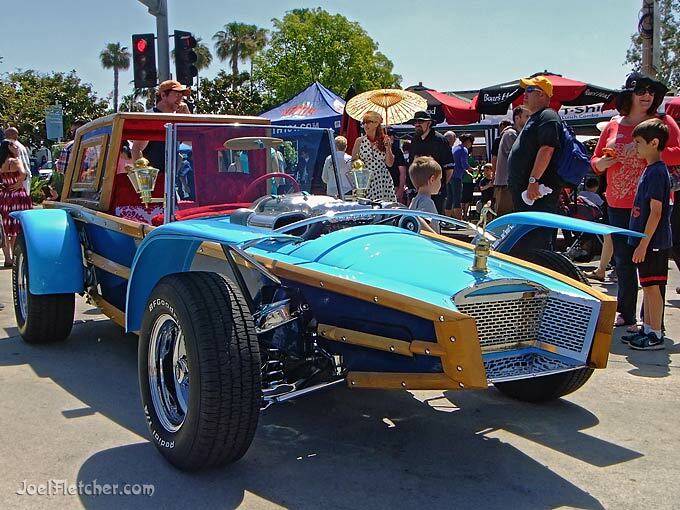 The 2014 Culver City Car Show featured this hand-built custom hot rod with a surf theme, which attracted a lot of attention. It was originally created in 1964 by Barris Kustoms for Calvin Clark, the publisher of International Surfing Magazine. The vehicle was more than just an art car, as it was designed for actual street use. They don't make 'em like that anymore!